Dr. Ferzin P. Turner has specialized in Orthodontics and Aesthetic Dentistry. Her extensive experience in dental technology, gives her synergistic advantage in aesthetic dentistry. She is an active academician and is an Associate Professor at the Department of Orthodontics, at the A. B. Shetty Institute of Dental Sciences. 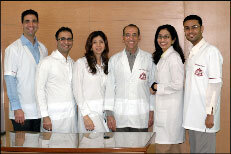 She conducts a speciality dental practice in Mumbai and is a partner to Adaro Dental Laboratory.